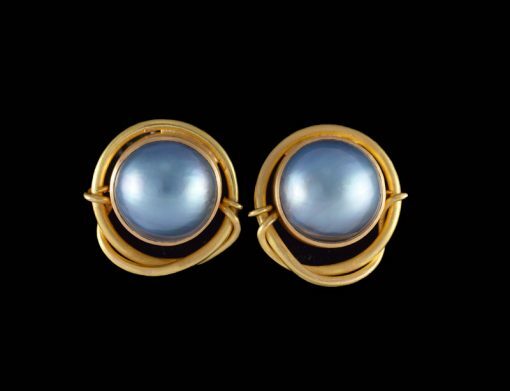 These astonishing blue mabé pearls are the most exquisite colour; blue with tiny surprise hints of pale mauve in certain lights. The are set in 22ct gold settings with a twist of wire round the settings that looks like gold vine. 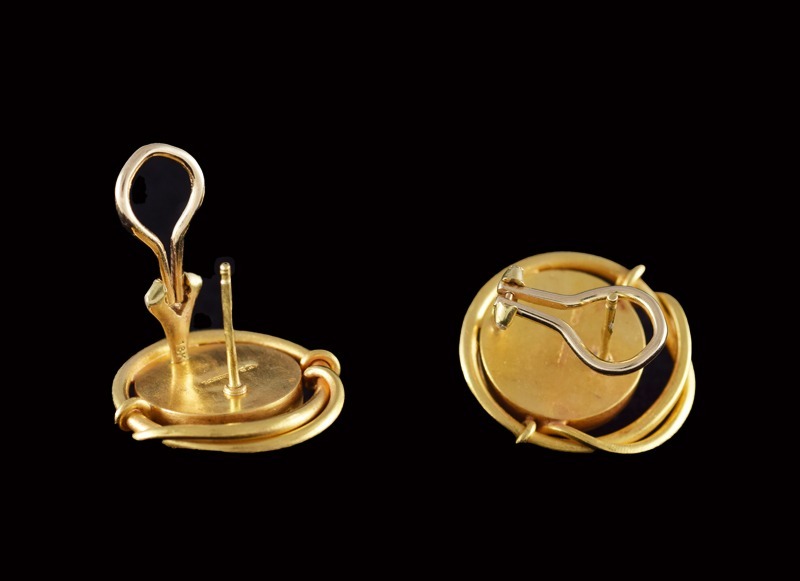 The earrings are on Omega clips for extra security, and are approximately 1.5cm across. Stunning.